Choosing a financial advisor is a tough decision. It isn’t easy to have an open, honest conversation about money, especially when you’re meeting a new advisor for the first time. The benefits of professional advisement, however, are certainly worth partnering with a wealth management firm. When selecting a financial advisor, you’ll want to make sure that they have the expertise, transparency, values, and the services to match your unique financial needs. For Kentucky residents, we’ve compiled a list of the best investment firms in Lexington, KY and Louisville, KY to put you on the right path towards achieving your financial goals. When it comes to choosing the best Louisville or Lexington financial advisor, there are plenty of firms to choose from. How can you narrow the search? First, take a close look at what each of these investment firms in Lexington, KY and Louisville, KY has to offer, and match those services up with your own personal financial goals. Are you planning for retirement? Have you recently changed jobs? Do you have a recent inheritance or an impending divorce that will affect your financial future? As you will see in the following reviews for Louisville and Lexington wealth management firms, the best financial advisors specialize in varying areas of financial planning and wealth management. If your needs are of a broader nature and you wish to have peace of mind through simple yet comprehensive financial planning, you may be well-suited with a Louisville or Lexington financial advisor that offers a broader range of services. Once you’ve narrowed down your choices to a select few of these top-ranking Louisville and Lexington wealth management firms, see if any of your selected advisors offers an introductory consultation session. Whether it’s a free or paid consultation, this can be a good way to “feel out” a prospective financial advisor before committing to their services. Below, please find a detailed review of each firm on our list of the best financial advisors in Louisville and Lexington. We have highlighted some of the factors that allowed these financial planners to score so high in our ranking. Click below for previous years’ rankings. Established in 1995, ARGI is one of the top financial advisors in Louisville, KY, and Lexington, KY, providing fee-based financial services for over two decades. Their goal has remained the same since the firm’s inception: to combine prudent advice with dedicated support and execution. Part of what makes ARGI a notable financial advisor in Louisville, KY, comes from their strong commitment to helping companies attract and retain talented employees. 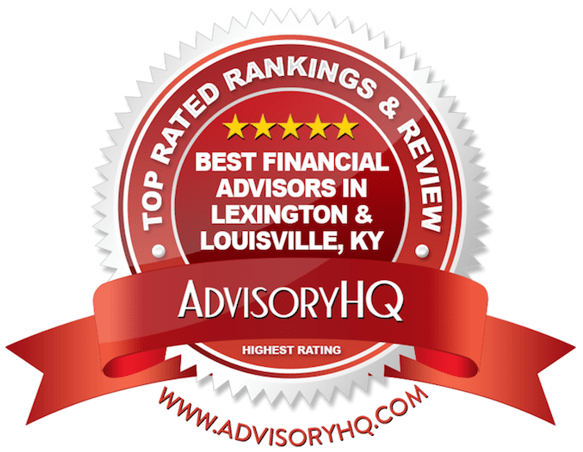 This is also the second year that ARGI has made AdvisoryHQ’s list of the best financial advisors in Kentucky, bringing the firm another consecutive industry award. ARGI boasts a wide range of qualified financial advisors in Kentucky that are qualified to handle a variety of financial planning needs, both business and personal. The Louisville office alone has over 100 staff members specializing in an array of financial services, including personal planning, business services, and investments. ARGI provides clients with the benefit of personal, business, and corporate services, ensuring that these financial advisors in Louisville and Lexington can meet a wide range of needs. They also boast a strong roster of specialists with financial planning and wealth management certifications. There is no doubt that ARGI is invested in providing the most up-to-date services and knowledge, earning the firm an overall 5-star rating as one of the top fee-based Lexington and Louisville wealth management firms. In business for nearly two decades, Coats Financial Planning is a fee-only financial advisor based in Louisville, Kentucky. Their team of financial advisors in Kentucky may be smaller than others on our list, but the success of the firm speaks for itself—Coats Financial Planning manages over 110 clients across the country. With a focus on providing personalized service and developing deep, long-term relationships with their clients, Coats Financial Planning is a top financial advisor in Louisville, KY to consider partnering with. Coats Financial Planning makes it clear that they will always act as a fiduciary for their clients, meaning that these Louisville financial advisors are committed to acting in the best interest of their clients. Closely tied to fiduciary services is their dedication to remaining a fee-only financial advisor. For many clients, this is a huge component of trustworthy, dependable financial services. As a fee-only financial advisor, Coats Financial Planning strictly prohibits income from product sales, which means that any income comes from a transparent, client-centric fee structure. Typically, this means that commissions are based off a percentage of your assets under management—which means that each client’s success becomes a direct reflection of the firm’s success. The team at Coats Financial Planning calls themselves “Retirement Puzzle Masters,” recognizing that successful planning for retirement involves the complicated task of combining multiple accounts and cash flow streams over a long period of time. 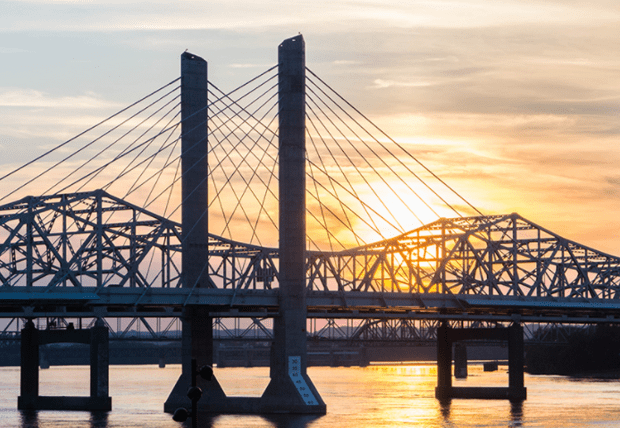 These financial advisors in Louisville, KY are well-versed in creating cohesive retirement plans that are tax-efficient, sustainable, and effective over multiple decades. Creating a financial plan designed for longevity is a tricky task, but with a nickname like “Retirement Puzzle Masters,” it appears as though clients are in good hands with these Louisville financial advisors. If you haven’t started to plan for your future yet, it’s difficult to determine where you fit in. How do you know that you’re ready to hire a financial advisor in Louisville, KY? Coats Financial Planning makes it easy for new clients to see how they could benefit from partnering with these Louisville financial advisors through their Client Profiles. Coats Financial Planning acknowledges that clients on the younger spectrum may not think of retirement traditionally, but that doesn’t mean that they shouldn’t consider using a financial planner. Taking a long-term perspective, clients within this profile are perfectly situated to benefit from services like portfolio guidance, debt management, executive compensation, and saving for higher education. Most clients tend to fall within this profile, although Coats Financial Planning recommends providing a few years before retirement to get the most out of their fee-only financial advisory services. For these clients, the focus is on acknowledging unique circumstances to produce an effective, tailored plan for retirement. Although new clients in this profile will have already made plenty of big financial decisions, Coats Financial Planning can still provide valuable assistance with tax planning, estate planning, portfolio allocation, and asset allocation. No matter where you fall within these client profiles, it’s never too early—or too late—to enlist expert advisory services from this top financial advisor in Louisville, KY. Hiring a financial advisor in Louisville, KY can be a daunting task—after all, a financial advisor will be deeply involved in personal financial details. That’s what makes establishing a client-advisor relationship based on trust and mutual respect so important. Along with industry expertise and services catered specifically to client needs, what sets Coats Financial Planning apart is their ability to make clients feel at ease. Not only do they provide a fee-only structure and a fiduciary commitment, but the firm also maintains a caring, approachable, and knowledgeable approach, making them one of the best Louisville financial advisors to consider partnering with this year. Founded in 2003, Dupree Financial Group offers retirement planning in Lexington, KY to help clients prepare for their financial future. Their fee-based financial services are meant to be convenient, affordable, and most of all, easy to manage throughout the long-term. With a focus on providing expert advisement every step of the way, Dupree Financial Group promises to be “right for you” when looking for retirement planning in Lexington, KY.
Having an advisory firm with a commitment to these types of values is a great way to ensure that the client-advisor relationship is rooted in trust, which is something that this financial advisor in Lexington, KY excels at. What makes these fee-based financial services stand out is that Dupree Financial Group provides a teamwork-oriented, friendly, and knowledgeable approach to everything that they do. For them, investment services are much more than arranging numbers. It’s about sitting down with each client, getting to know their unique financial needs, and helping them choose the best path for them. As part of their process, Dupree Financial Group breaks retirement planning into three distinct steps, or transitions. The first is retirement preparation, which starts whenever a client is ready, regardless of where they are in life. The second is approaching retirement, where clients can expect changes in their lifestyle, priorities, and how they will spend their time. Finally, living in retirement means enlisting the help of these financial advisors in Lexington, KY to help you manage retirement income throughout fluctuating goals and priorities. 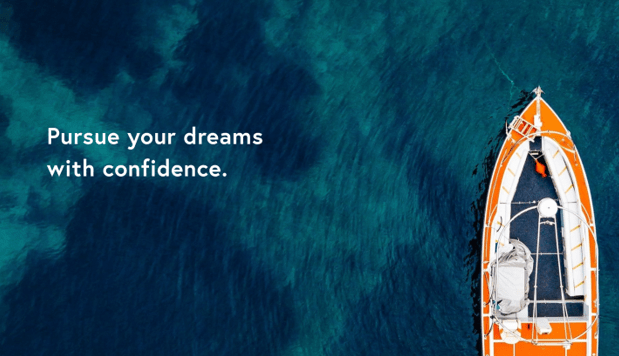 For clients that need professional management and guidance to create long-lasting retirement savings, Dupree Financial Group provides competitive options, a skilled approach, and a strong team with decades of experience. However, for clients that need services outside of managing long-term investment products, such as IRAs and a dynamic portfolio, Dupree Financial Group may not be the right choice. 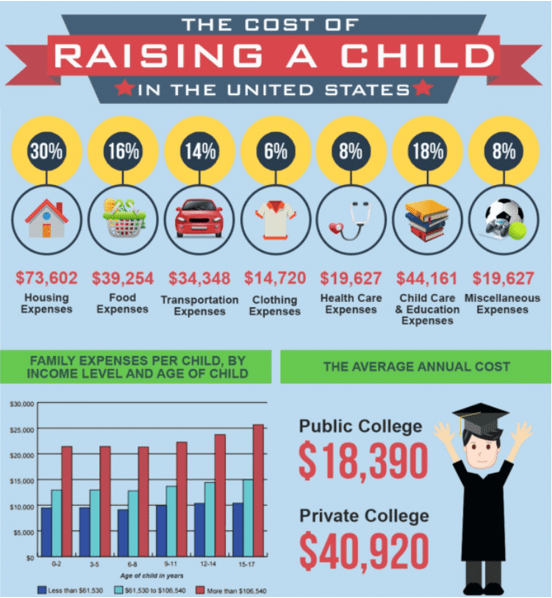 The firm does not offer financial planning services, meaning that clients are missing out on detailed service like how to save for a college fund, plan their estate, manage their monthly expenses, and more. While certainly not a negative feature in its own right—Dupree Financial Group focuses purely on investment management and excels—it does bring their overall rating down to 3 stars in comparison to competing Lexington wealth management firms. 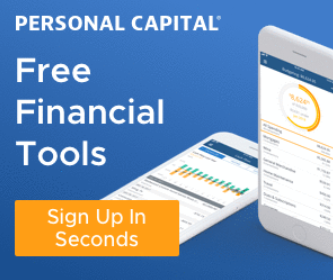 Founded in 1996, Financial Engines provides fee-based financial services to large US employers to help their employees create manageable, effective retirement plans. In fact, their founding marked the very first independent online advice platform. With over 180 offices, Financial Engines has a strong national presence. For Kentucky-based clients, they provide professional financial services in Lexington, KY, as well as in Louisville, KY.
What sets these financial advisors in Kentucky apart from the rest of the firms on our ranking is that Financial Engines primarily works with employer-sponsored retirement plans. This means that your employer must use Financial Engines for employee retirement accounts before you connect with a local representative. Part of the benefit of partnering with Financial Engines is that clients can take advantage of both local and national resources. Kentucky residents can visit one-on-one with an investment advisor at the local office in Lexington or Louisville. This is a great way to build a personal plan and establish open communication while working towards financial goals. To support their local offices, Financial Engines has a strong base of national resources to conduct in-depth analyses and extensive research to create winning investment strategies. As one of the top financial advisors in Kentucky, Financial Engines has an incredible range of professional experience to draw from. Financial Engines focuses on providing three core categories of financial services and wealth management in Lexington, KY. These include Financial Planning, Investment Management, and Retirement Income. For clients that want to work with Lexington and Louisville financial advisors that can access a national network of knowledge and resources, Financial Engines is a great fit. However, it’s worth mentioning that the firm is—by design—not as accessible to new clients as competing wealth management firms. Because an employer must first partner with Financial Engines, you will not be able to use their services unless this criterion is met. Additionally, our review found that financial planning services were not easy to find. Located in small print in the footer, it’s unlikely that current clients would even know about financial planning services (unless specifically directed by their advisor), bringing Financial Engine’s overall rating to 3 stars. Meridian Wealth Management, LLC is an independent, fee-only financial advisory firm based in Lexington, Kentucky. The firm maintains a firm belief in innovation, pursuing new ideas to help each client confidently and successfully reach their long-term wealth management goals. This top-rated financial advisor in Lexington, KY also provides wealth management services in Nashville, TN; Virginia Beach, VA; and Hazard, KY. 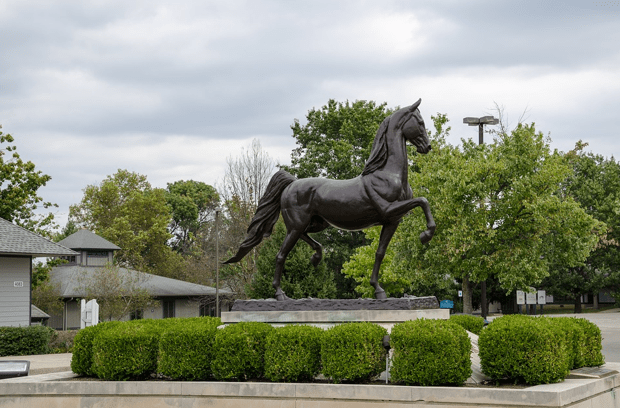 Some financial advisors in Lexington, KY operate on commissions, meaning that they receive income when clients sign up for certain financial products. This is not the case with the independent financial advisors at Meridian Wealth Management. As a fee-only financial advisor, Meridian Wealth Management does not sell investment products for a commission. This means that clients of Meridian Wealth Management have the advantage of receiving unbiased, objective recommendations and advice that are truly made in their best interest. Some of the best financial advisors in Lexington, KY are those that are equally as invested in their client’s financial literacy as they are their financial success. Early Working Years—Accumulating assets, aligning financial and life goals, and more. Later Working Years—Preparing for retirement, planning for unexpected needs, and more. Retirement—Planning for estate distribution, gifting, Social Security disbursements, and more. Women-Focused—Recent topics include the retirement gender gap, financial advice for young women, and financial advice on widowhood. Lifestyle—Recent topics include how to stay out of debt, easing educational costs, and smart spending tips. Meridian Wealth Management also provides quarterly economic updates to keep clients and non-clients alike up to date on recent stock market and global financial trends. Clients looking for Lexington wealth management have plenty of options with Meridian Wealth Management. The firm has 18 staff members spread between four locations. Many have significant previous experience with globally recognized firms such as Wells Fargo, JP Morgan, and Morgan Stanley. Having a large, experienced team is a great representation of their focus and commitment to making sure that their clients are well taken care of. The team at Meridian Wealth Management brings an impressive range of financial experience and graduate degrees—but part of being a top financial advisor in Kentucky means demonstrating a commitment to ongoing industry education. Meridian Wealth Management has only one CFP® on their team, which may put them at a disadvantage compared to competing Kentucky financial advisors. Certifications such as CFP®, CFA, and CPA come with requirements for continuing education and demonstrate a commitment to providing up-to-date financial approaches—all good signs for new and current clients alike. By encouraging financial advisors to add a certification or two to their list of qualifications, Meridian Wealth Management could easily boost their 3-star rating to a five. Established in 1980, Moneywatch Advisors was one of the first fee-only financial advisors in the country. The same commitment that began three decades ago still holds true today—providing sound financial advice and creating comprehensive, unique financial plans for each client. Uniquely, Moneywatch Advisors offers a complimentary consultation for all new clients, making them one of the best Lexington wealth management firms to consider. Talking about finances and managing your money is a difficult conversation topic for anyone to have, no matter how well put together your finances are. When it comes to financial advisement, it helps to have a friendly, welcoming firm that can put both new and long-term clients at ease. Moneywatch Advisors strives to not only be genuine but also to be relatable. These financial advisors in Lexington, KY are more than financial advisors—they are also people who understand that talking about money is challenging. We appreciate you and want to understand your situation — whether you’re a longtime University of Kentucky faculty or staff member, a young professional just starting to invest, or approaching retirement with questions on how to make that transition. A family’s goals can be multidimensional and this requires the expertise and experience of financial planners in order to navigate the many issues that families face when making financial and wealth management decisions. 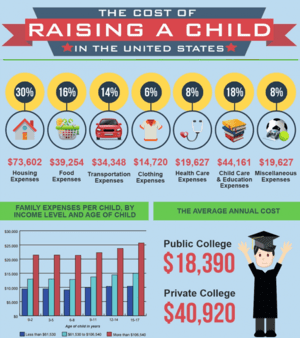 It is more than just about money but includes support, lifestyle and legacy. The whole family becomes our client. One of the most important components of a positive relationship between a client and an advisor is a focus on ethical practices. For new and seasoned investors alike, handing control of your personal finances to a wealth manager can be a stressful experience. Financial advisors in Lexington, KY have access to personal financial details, making it important to create a genuine, trust-based relationship with a firm. As an independent, fee-only firm with a fiduciary commitment, Moneywatch Advisors provides a solid foundation for ethical, trustworthy financial management. They also offer a friendly, welcoming, and warm approach to financial services, making Moneywatch Advisors one of the best financial advisors in Lexington, KY for new clients to consider partnering with this year. Founded in 1994, Stegner Investment Associates, Inc. is an independent, fee-only financial advisory firm in Louisville, KY.
With a focus on forging strong client partnerships, SIA is committed to understanding each client’s unique financial goals, ultimately positioning them for success. Although other financial advisors in Louisville, KY may pride themselves on the number of clients served, Stegner Investment Associates prefers to limit their client base in order to provide individualized service. This best financial advisor in Louisville, KY operates on a strong foundation of focus, education, and integrity. As such, Stegner Investment Associates, Inc. provides investment services to high-net-worth individuals with complex financial issues. Education is also an important facet of what SIA does—in their words, “Well-informed clients are our most successful clients.” To that end, these financial advisors in Louisville, KY work hard to encourage clients to understand both the process and the rationale behind every investment decision that is made. Finally, SIA operates on a strong foundation of integrity, as shown through their commitment to providing fee-only services. This also means promoting transparency through full fee disclosure, ongoing evaluation, and segment benchmarking. 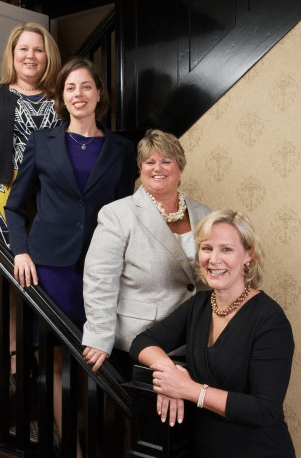 It’s not often that you’ll find an advisory firm with an equal division between men and women employees—it’s even more rare to find a firm solely owned and operated by women. Collectively, the managing directors at SIA have over 60 years of experience. Using a team-based model, clients can benefit from an incredible range of financial expertise and industry experience. Stegner Investment Associates, Inc. excels at maintaining a solid, ethical, and transparent and, ultimately, client-centric foundation. For those that want a Louisville Financial Advisor that is dedicated to serving the financial needs of their clients first and foremost, SIA is a great fit. However, when it comes to ranking against competing financial advisors in Kentucky, it’s worth mentioning that only one financial advisor has earned their CFP® certification. In fact, this is the only financial industry designation on the SIA team. For prospective clients, this may put SIA at a significant disadvantage, as certifications such as CFP®, CFA, and CPA demonstrate a commitment to ongoing education and up-to-date financial approaches. By encouraging financial advisors to add a certification or two to their list of qualifications, Stegner Investment Associates could easily boost their 3-star rating. With a combined 21 years of experience, Wrenne Financial Planning is one of the best financial advisors in Lexington, KY.
Uniquely, Wrenne Financial Planning focuses on providing specialized financial services for physicians, dentists, and business owners. In fact, they currently advise over 60 young physicians, making this Lexington wealth management firm a great choice for doctors within the area. This is not the case with the independent financial advisors at Wrenne Financial Planning. As a fee-only financial planner, they do not receive any commissions or kickbacks. Additionally, Wrenne Financial Planning clearly states that they operate underneath the fiduciary standard, which means that these independent financial advisors will always act in their client’s best interest. This means that clients of Wrenne Financial Planning have the advantage of receiving unbiased and objective recommendations throughout every step of the way. Wrenne Financial Planning is the only financial advisor in Kentucky on our list that offers student loan advising services. While student loan planning is certainly an uncommon financial advisory skill, it certainly makes sense for Wrenne Financial Planning. 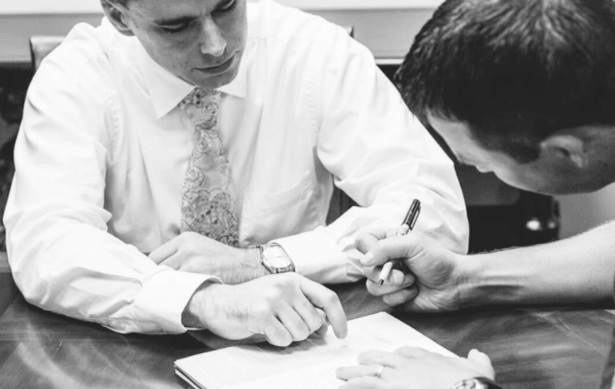 As one of the top financial advisors in Lexington, KY, Wrenne Financial Planning provides a wide range of expert financial services, including financial planning and investment management. For young physicians, dentists and business owners, finding a Lexington financial advisor who is prepared to meet their unique financial challenges is paramount. Wrenne Financial Planning not only provides professional expertise but also a wide range of services, ensuring that clients can maintain a relationship with their advisory firm through multiple stages of financial achievements and goals. With a fee-only structure, a fiduciary commitment, and a specialty focus, Wrenne Financial Planning is one of the top Lexington financial advisors. Growing your finances—and protecting them—is an essential piece of good financial health. Whether you’re looking to begin a retirement fund, save for college, set aside money for your children, or simply learn how to better manage your money, the best financial advisors in Kentucky are ready and waiting. Take the time to consider what your financial goals are before you look for Lexington or Louisville financial advisors. By keeping your unique financial needs in mind, you’ll be well-equipped to identify the best financial advisor in Kentucky for you.